I worked out how to attach the hinges to the roll bar. It was hard to get them lined up and attached. 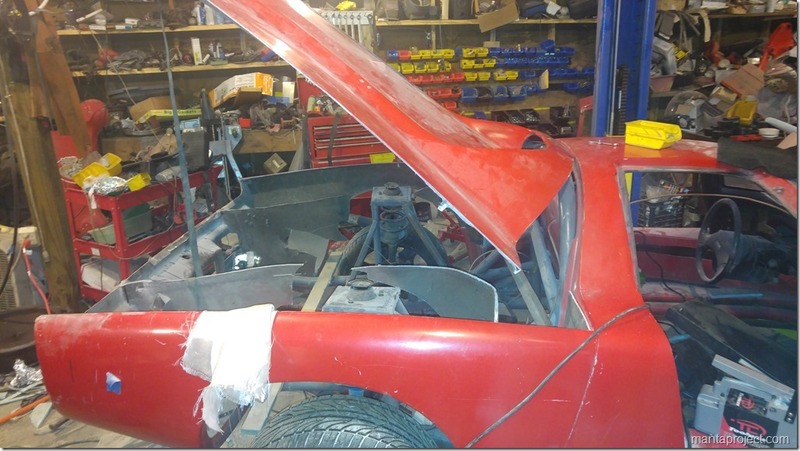 I ended up bolting a plate onto the hinges and welding the plates on to the roll bar after I got it lined up right. After getting it welded in place and making sure everything worked like it should I then unbolted the hinges from the plates. I could then drill and bolt the plates down while the weld holds it all in place. I then cut the welds and spot welded the hinges back on to the plates. The trunk lid now can be removed by taking the 6 bolts off that hold the plates to the roll bar and the trunk lid is free. 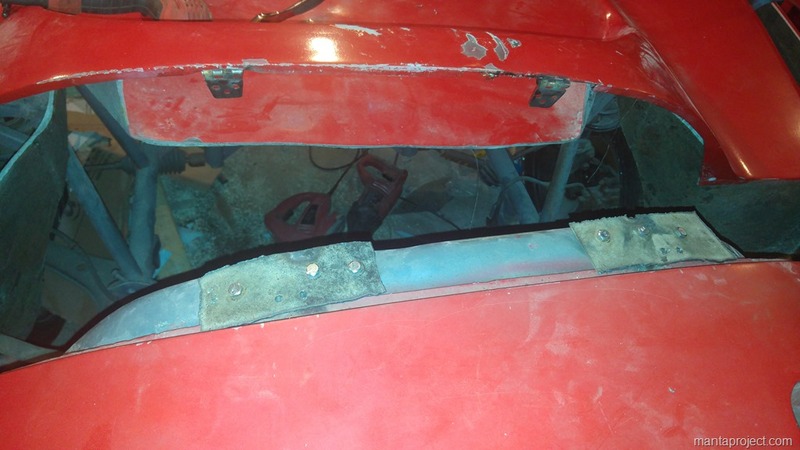 I will measure and find a set of gas struts to hold it open once I figure out how far I want the lid to stay open. Once I get the rest of the work done on the back end I will get a key and latch setup mounted to the back. I probably won’t put a cable operated remote release on it and just put an electrical release sometime in the future.